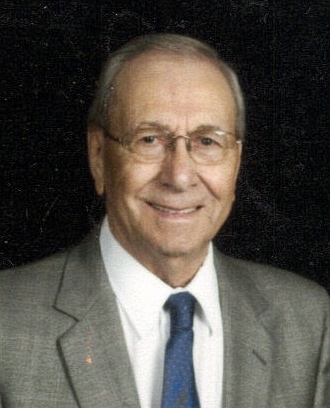 Grant Matthew Klein, 85, passed away Saturday, October 25, 2008 at Sanford Health Systems in Sioux Falls. Grant was born on September 17, 1923 to Math and Iva (Miller) Klein in Colman, SD. He attended school and was a graduate from Washington High School in Sioux Falls. Grant was united in marriage to Marjorie Brasel on November 23, 1946. He farmed land near Tea, SD for over 60 years. His final years were more fulfilled by daily visits with caring relatives and friends. He was a former member of the Knights of Columbus and a lifelong member of St. Nicholas Catholic Church in Tea, SD. Memorials may be directed to St. Nicholas Church in Tea. Grant is survived by a son: Greg (Colette) Klein, Lead, SD; daughters: Mary (Curt) Downey, Waverly, NE and Jean (Mark) Thompson, Decatur, IL; a sister: Betty Anderburg, Sioux Falls, SD; eight grandchildren and six great-grandchildren. He was preceded in death by his parents; his wife: Marjorie in 2003, brothers: Lloyd and Donald. Visitation will be Tuesday, 6 PM at Barnett-Lewis Funeral Home with a Scripture Vigil at 7 PM followed by the Rosary. Mass of Christian Burial will be Wednesday, 10:30 AM at St. Nicholas Catholic Church in Tea, SD followed with burial at St. Michael Cemetery.